The Los Angeles Fire Department has been the toast of the blogosphere in recent weeks after its efforts at using the micro-blogging site Twitter came to light. Twitter allows users to post short (140 characters or less) notes. 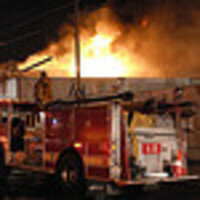 The fire department uses Twitter to post information about fires or other emergencies that it is responding to. These messages are then sent to users signed up to receive the information on their mobile devices. During the May fires in Los Angeles' Griffith Park, for example, the LAFD received press inquiries from the BBC and from news media in Prague, the Czech Republic, by way of Twitter, said Brian Humphrey, the LAFD's public information officer. Humphrey maintains the Web 2.0 technology with another department spokesman, Ron Myers. The pair work 12-hour shifts to update the blog, send out twitters and other duties. Government agencies are not usually known using cutting-edge technology, but the LAFD has immersed itself in various Web 2.0 projects, including a blog, a real-time alert service, a Flickr photo site and a live Internet radio show. Humphrey said the department began looking at Web 2.0 technologies after the devastation of Hurricane Katrina in August 2005. While those stranded at the Louisian Superdome in New Orleans were certainly hungry and thirsty, "they were dying a little bit at a time from a lack of information," he said. "They thought they were on their own Gilligan's Island." The LAFD uses four attributes to characterize the success of Web 2.0 tools: desirable, beneficial, justifiable and sustainable. "We can no longer afford to work at the speed of government," he said. "We have responsibilities to the public to move the information as quickly as possible ... so that they can make key decisions." Interest in the LAFD's effort has grown; its blog just logged its 1 millionth visitor this year, and photos on its Flickr account have been viewed 500,000 times in the past year, Humphrey said. The department has made widgets available with content it produces and uses RSS to allow more users to subscribe to updates. But the most popular effort has been the Twitter account, which now has about 190 followers who can receive Twitter updates from a mobile device. For example, a Twitter will report that a structural fire is being battled by 30 firefighters, or that a car accident has occurred. It reads like a dispatch log of sorts from the calls the department receives and answers. "The idea for us is that not everyone who is in need of information in times of distress will be sitting in front of a computer," Humphrey said. While no funds have been earmarked for these projects, and Humphrey and Myers spend time on and off the clock working on them, the LAFD has more than 80 Web 2.0 projects in the pipeline that it is testing. Humphrey advises other government agencies testing the waters of Web 2.0 not to fall into a common misconception about the technology: That it will allow an organization's voice to be heard louder, more clearly and over a greater distance. Instead, "having this Web 2.0 presence ... allows us to listen more clearly and more accurately over a greater area," he said. "It is all about getting much more feedback [from the public]." But, the department's journey to the Web has not been without its challenges. As Humphrey, a 22-year veteran of the department who has a propeller placed under his fire helmet in his office likes to note, "I don't have a problem running into a burning building ... but stepping out into the Internet was very intimidating."